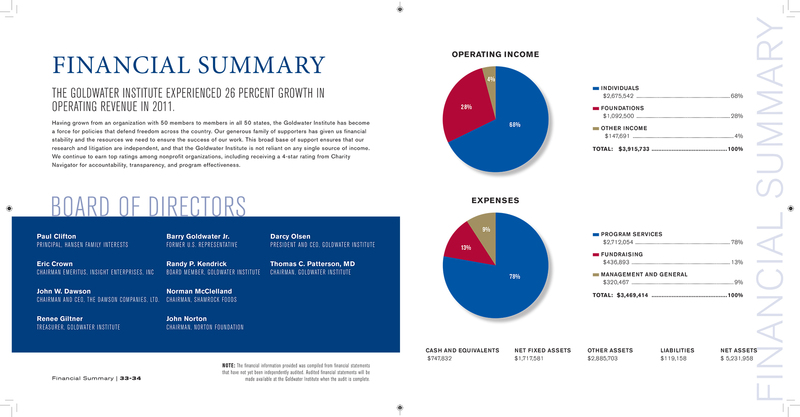 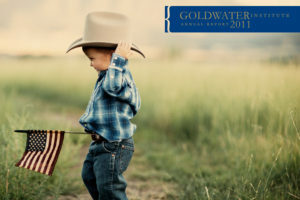 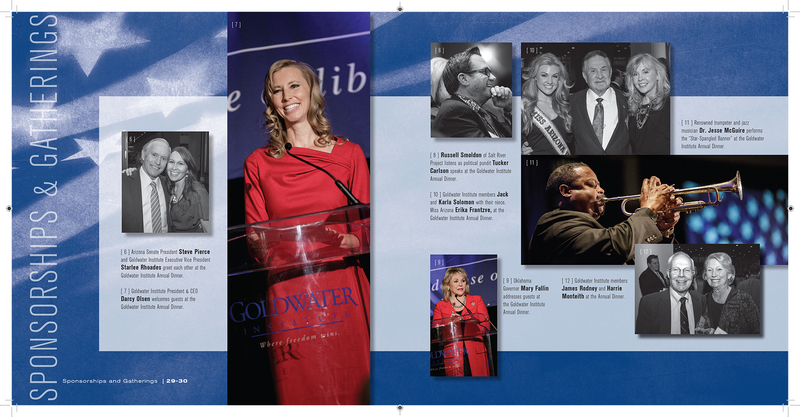 The Goldwater Institute hired [DUV]DESIGN in 2010 to improve the look and feel of their Annual Report. 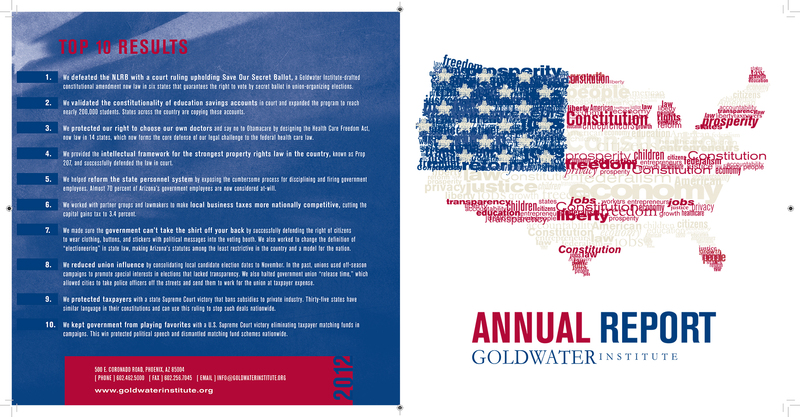 The collaboration extended into the next two years with similar projects in 2011 and 2012. 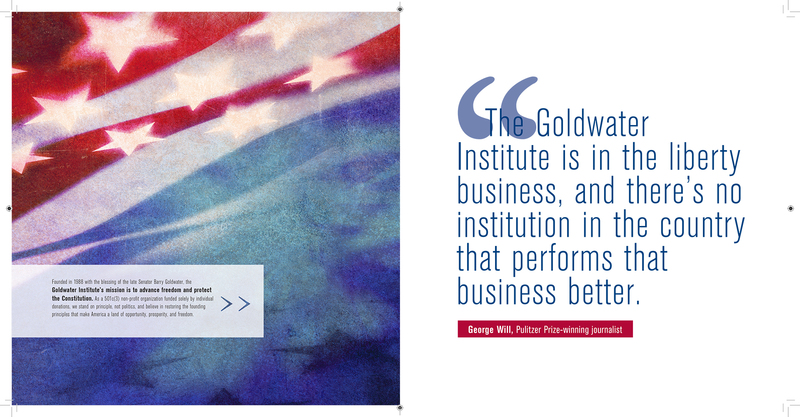 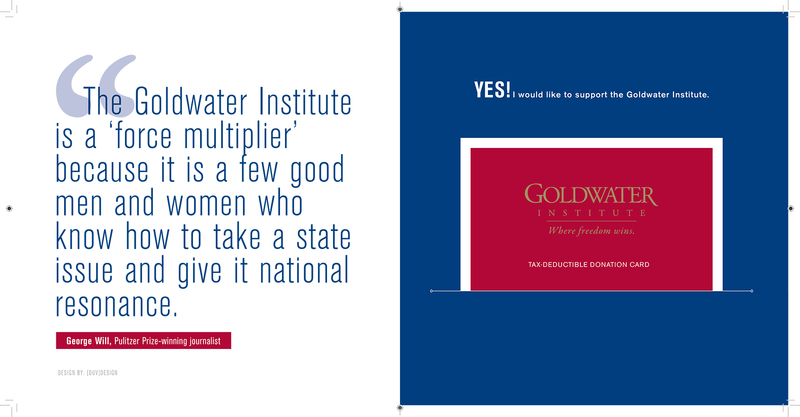 The Goldwater Institute wanted a distinct, clean design for their annual reports. 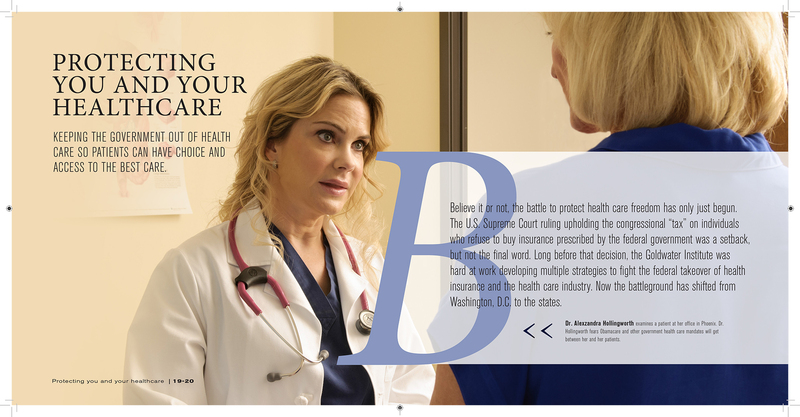 The challenge was to create visual continuity among the reports to solidify the brand, but also to make each one distinguishable from the other. 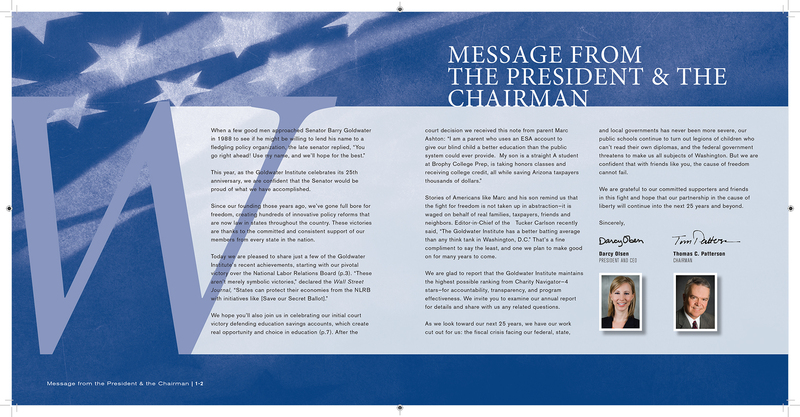 The project included creating the report and a custom envelope for mailing. 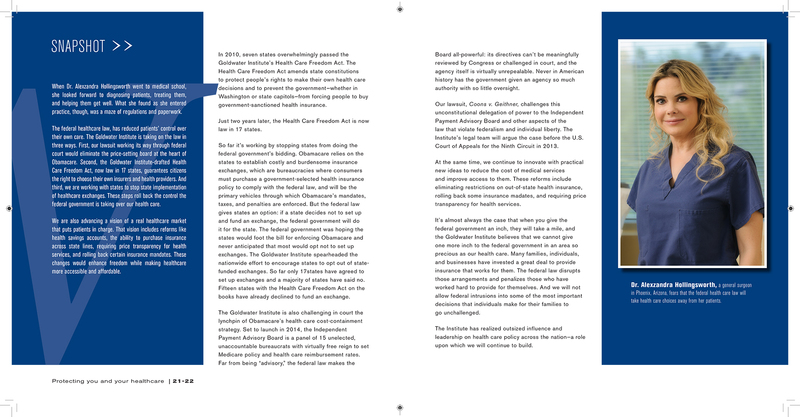 Below are samples of the 2012 design, including the 2012 cover design, interior cover design and layout samples of the interior pages. 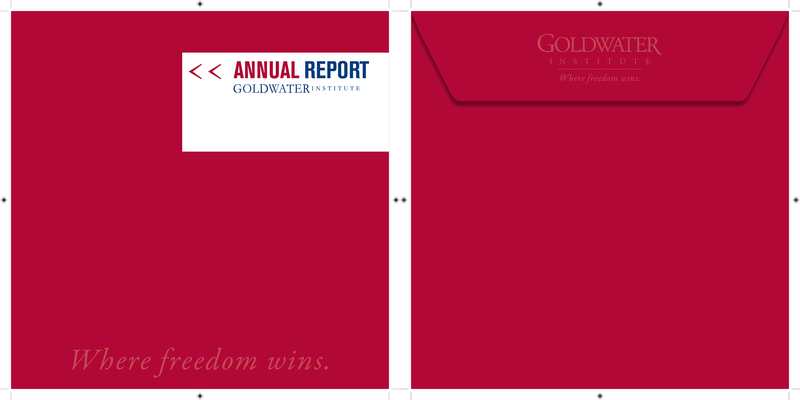 The back interior cover was designed with a pocket to include a donation envelope.